This house started in the usual way. I was inspired by a local home in my town and drew out a pattern using graph paper. I did not take a photo of the house - I just caught a quick look as we drove by. I did not make a replica of the home, in fact this little house doesn't really look like the actual house I saw. That was just my jumping off point. The actual house has a peak on the front section, but I liked the idea of the slant going all the way to the edge. 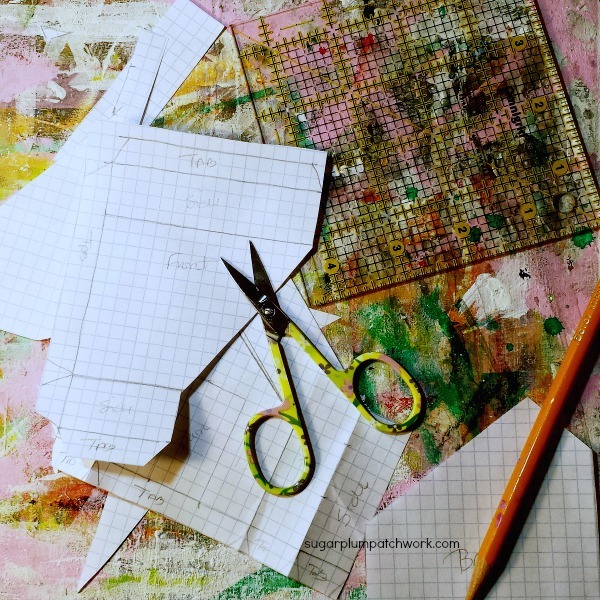 Once the pattern was completed, it was time for cutting the cardboard. I used an exacto knife to cut the windows and both large and small scissors for cutting other parts of the little house. Here are the pieces ready to assemble. 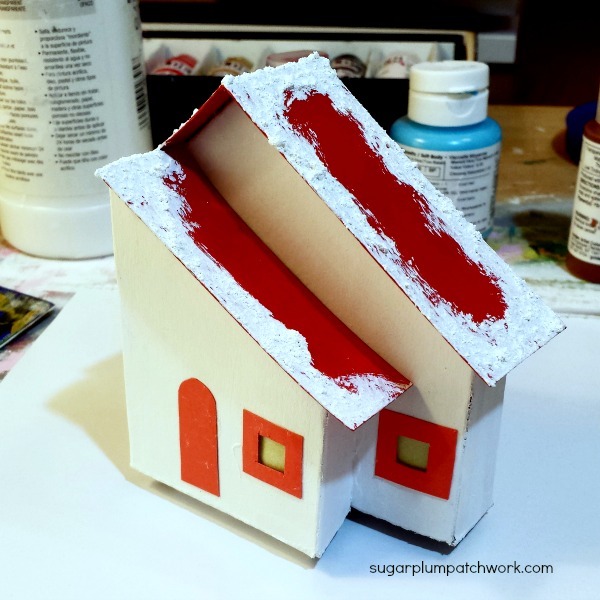 Next up I painted the house white and all the trim red then glued it together. Once that was dry I added some snow to the roof using Snow Tex. 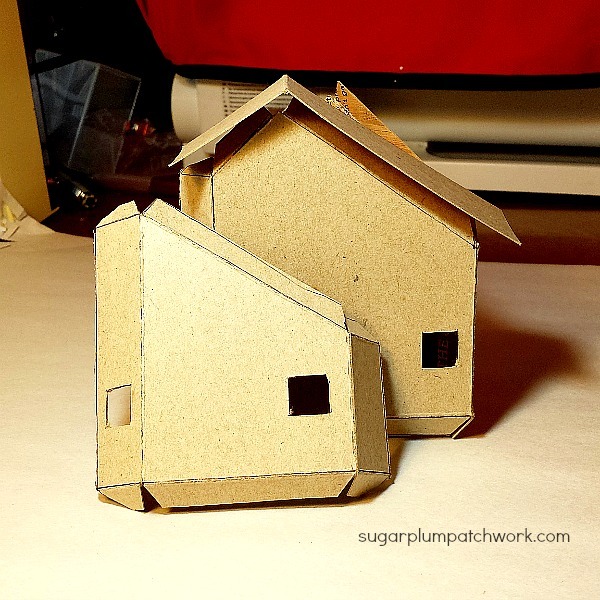 I decided to give this little house a flat round corrugated cardboard base. 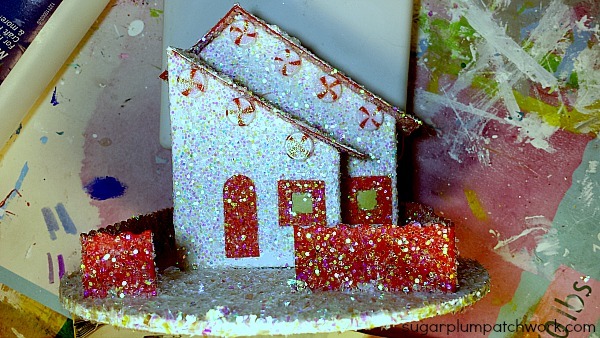 I added glitter to the house, base and fence and began thinking about embellishments. 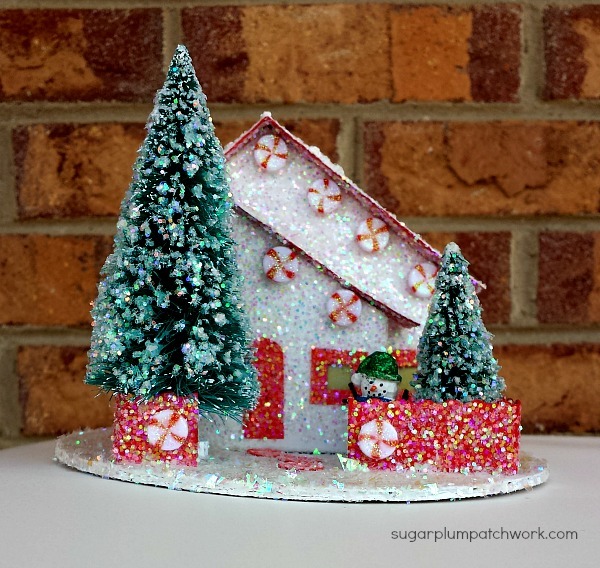 That's when I found the tiny peppermint decorations. 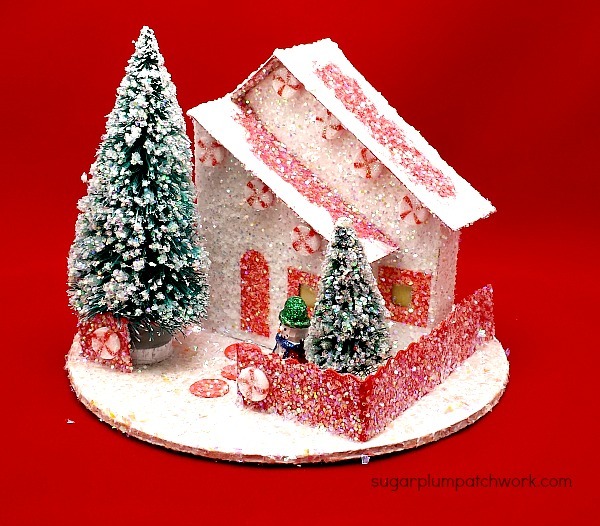 So I laid the house on its back and glued on the peppermints. I let it sit overnight. Then it was time to add the frosty trees, the stepping stones and at the last minute I added the tiny snowman. 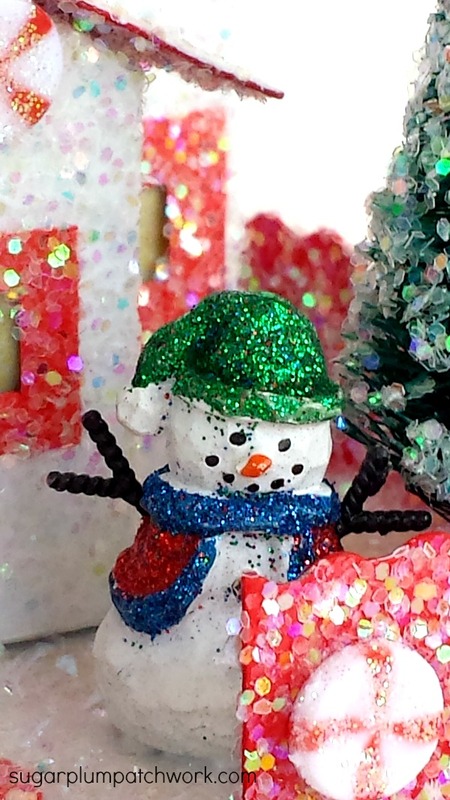 I had no idea this small snowman figurine had so much glitter on his face until I zoomed in and cropped this photo! LOL. Guess he wasn't "ready for his close-up!" Overall I am pleased with how this house turned out. There are a few glitches in the pattern that I plan to correct next time I make this design, but that's the way it goes. You learn as you do things and that's how your technique and design skills improve. 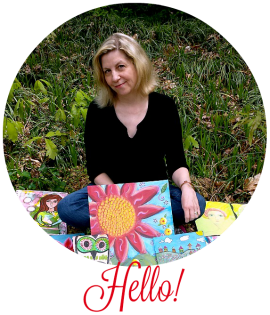 I hope I've inspired you to make something creative. 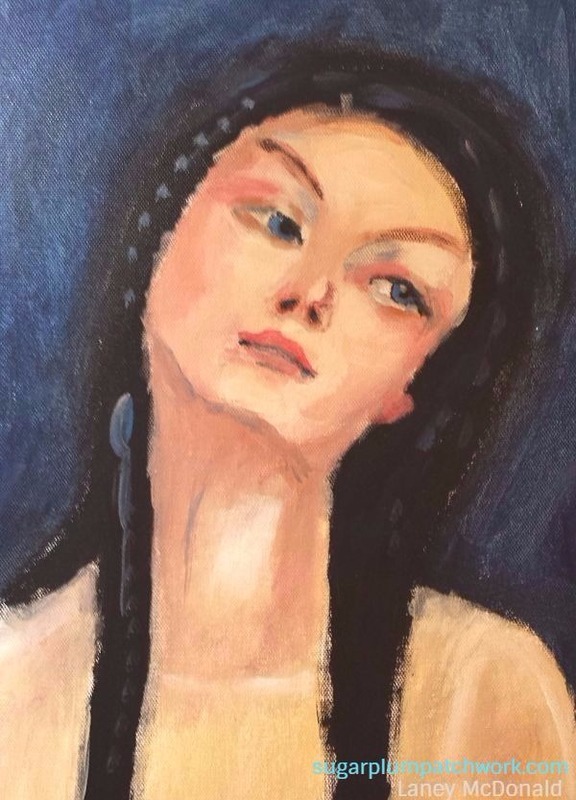 Thanks for reading and for your comments. I love sharing these little houses. Happy weekend and Happy Easter! Thank you. Hope you had a Happy Easter! What an amazing and ambitious undertaking! This beautiful house is such a work of art! Very creative project. Wow this is amazing. I can see how much pleasure you get out of creating these little worlds. The details are excellent. Such stunnibg work! As you know, I'm in love with your houses. I wonder what one of these houses would look like done with paper mache...a lot more work that's for sure..you amaze and inapire me! Oh my gosh it's so lovely. And it was really fun to see it all come together!